Just when you start to think all the things have been baked, Trader Joes goes and invents pancake bread. And, because it’s Trader Joes, pancake bread is now every where. Impending recession? Government shutdown? Global warming? Yeah, but have you tried TJ’s pancake bread? First things first, pancake bread does not taste like pancakes. Not even a little bit. It’s delicious. But, it doesn’t taste like pancakes. Which is good for me because I make certifiably terrible pancakes. I can whip up a batch of rough puff, no problem. But, ask me to make pancakes and I’m at a loss. Luckily, TD figured this out very quickly and doesn’t ever ask for the least elevated of all the cakes. Parenthetically, I think I’m a poor pancake provider because I really don’t like them. I know, it’s un-American and all that. Pancakes just aren’t my jam so I’ve never been particularly motivated to master them. But back to the pancake bread. After trying the TJs version I thought I’d come up with my own. With blueberries and an optional freeze dried blueberry crumble. 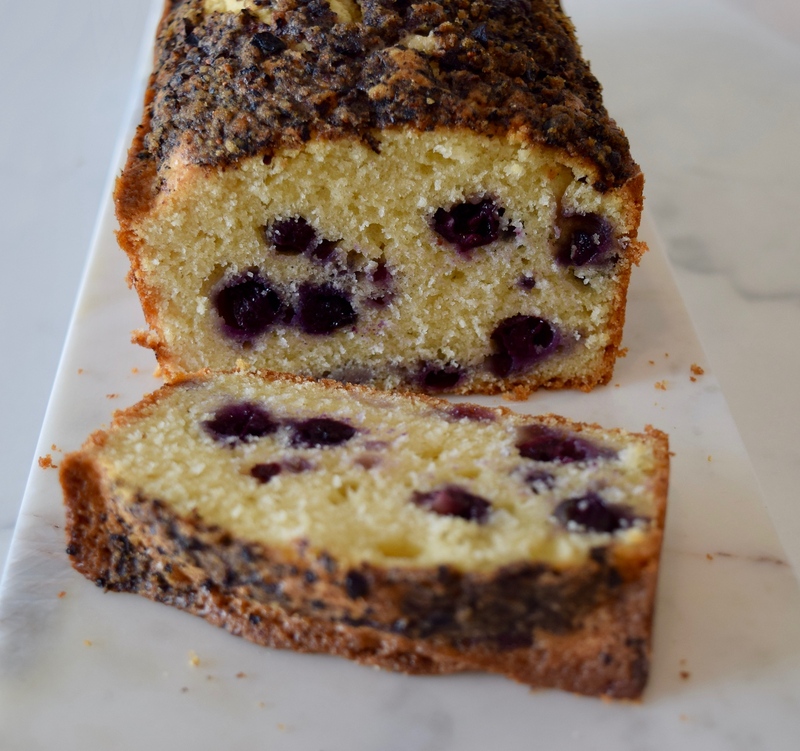 This loaf has all of the elements of a great stack of pancakes: fresh blueberries, buttermilk, and maple syrup. I’m of the opinion that in this case, the whole is far greater than the sum of its parts. 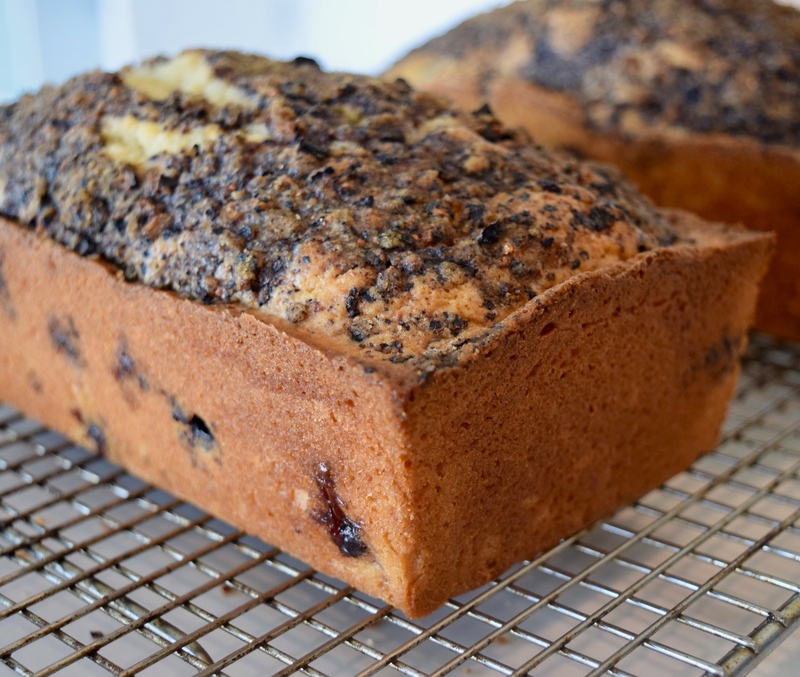 But that’s probably because this blueberry bread tastes nothing like pancakes. If you decide to make this, especially for pancake adoring fans, I suggest you employ the placebo effect. Tell them what it’s called. Maybe list some of the pancake ingredients. And leave it at that. I’m fairly confident that believing in the pancake could make it so. Preheat oven to 350 degrees. 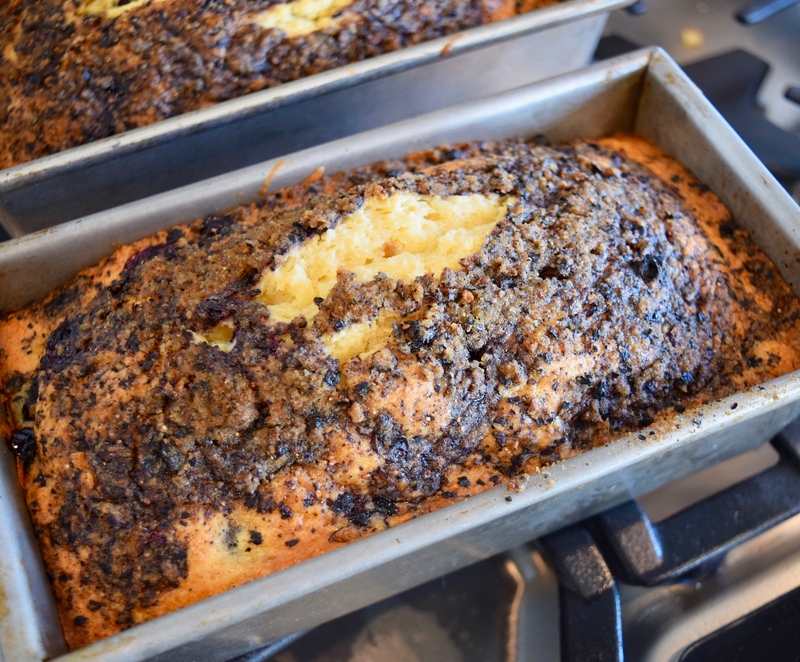 Line two 9X5 (or similar size) loaf pans with parchment. Then butter or oil pans. Set aside. To make streusel, in a small bowl, combine flour, blueberries and brown sugar. Cut butter into small pieces. Using the tips of your fingers, cut the butter into the sugar mix until combined (butter pieces should be pea sized, maybe smaller). Set aside. 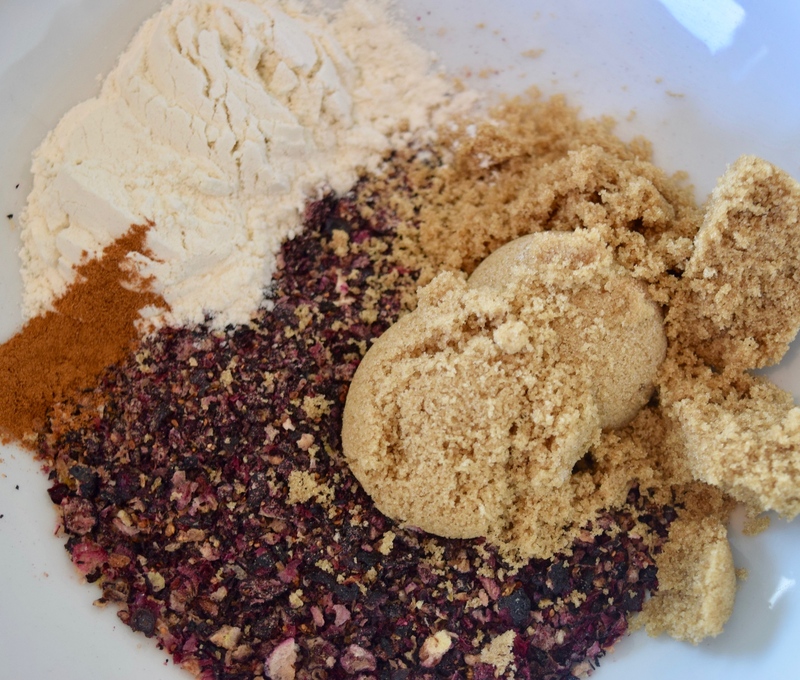 In a medium bowl, sift together flour, baking powder and salt. Set aside. 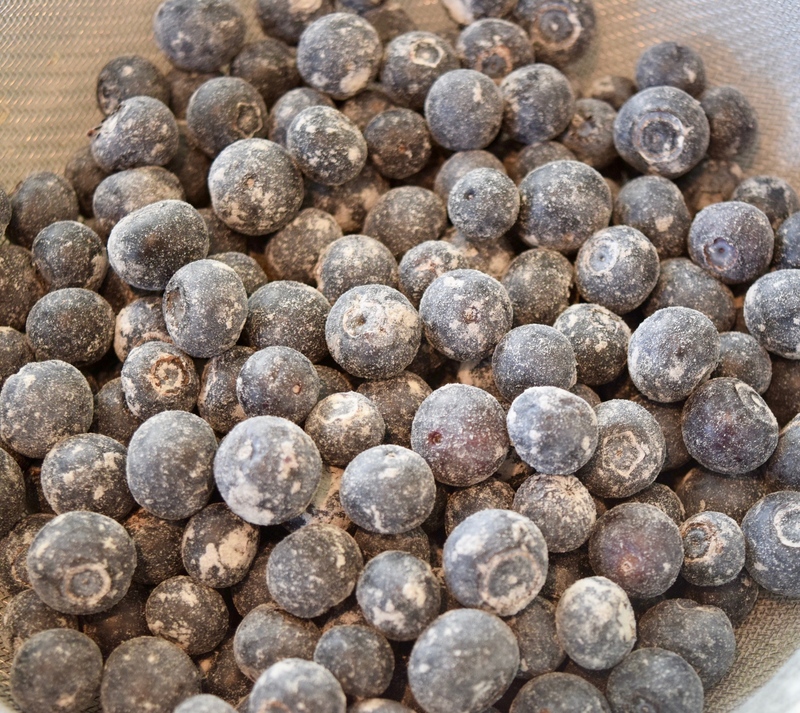 Set blueberries in a fine meshed sieve and sprinkle reserved 1/4 C flour over. 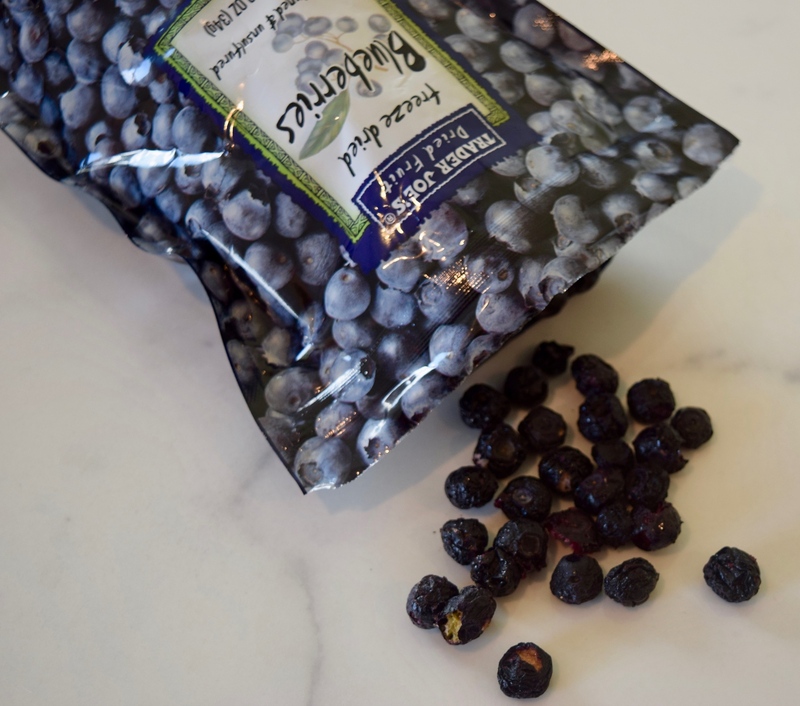 Gently toss blueberries so that they are covered in flour. This will keep them from sinking to the bottom of the batter. Using a stand mixer fitted with a paddle (or electric mixer), cream butter until light, about 2 minutes. Add-in sugar and syrup. Beat for another couple of minutes. Beat-in eggs on at a time. Starting and ending with the flour, add 1/3 flour, combine and then add 1/2 buttermilk. Mix after each until just combined. Repeat until you end with the last of the flour. 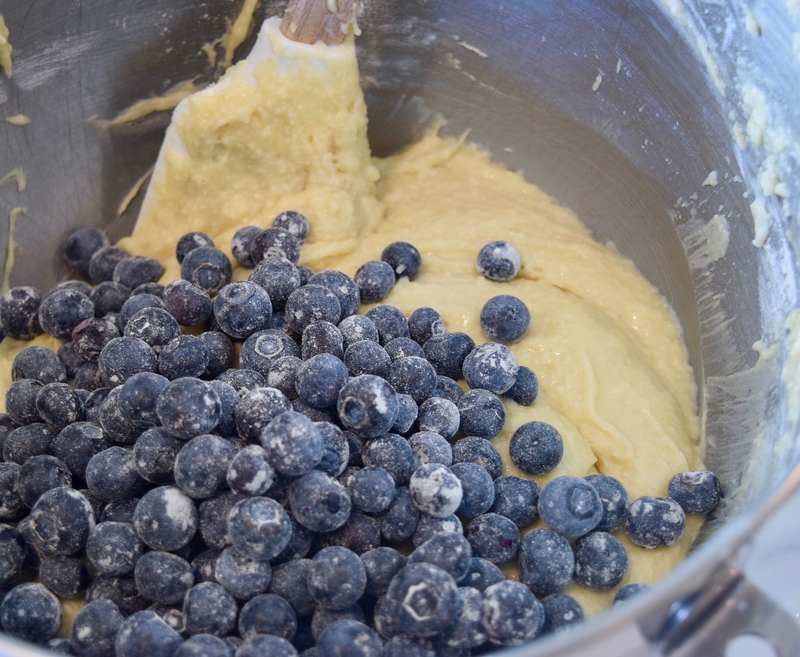 Gently fold-in blueberries with a spatula (do not use mixer). 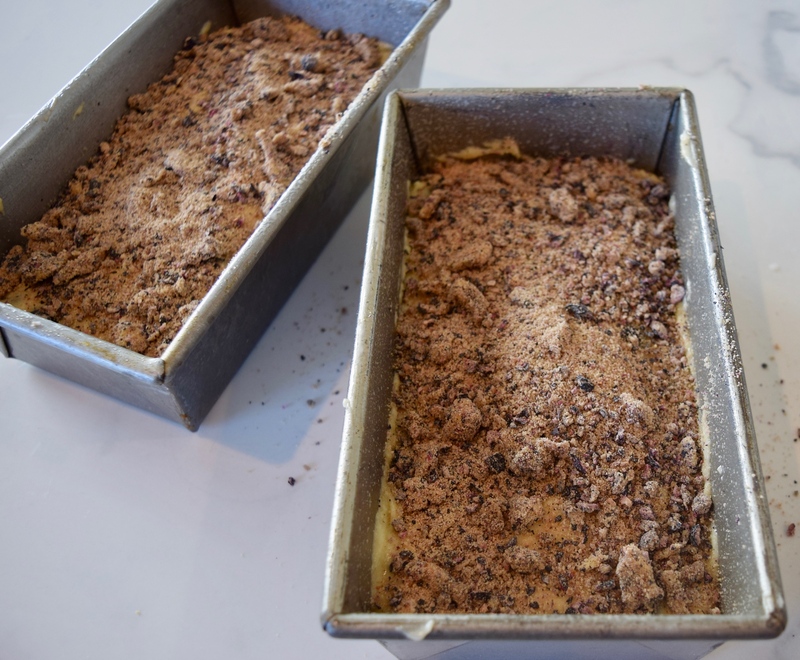 Fill loaf pans with batter and sprinkle tops with streusel. Bake, both loaves at the same time, for 45-60 minutes, rotating pans at the 30 minute mark. At 45 minutes, start checking for doneness by inserting a wooden skewer into the middle of the loaf. Loaf is done with skewer pulls out with barely dry crumbs. Allow to cool in pans for 5-10 minutes. Remove from pans and cool completely on cooling rack.